Camo and tye-dye, oh my! Click on any link below to browse our suppliers product lines. We’ve partnered with some of the finest companies available to serve your needs for promotional clothing and items. Transfer Express – Manufacturer of custom heat-applied transfer for garments. Customize your own using a wide variety of clip-art images, or choose one already designed for you. Trimark Sportswear – Wide range of apparel including jackets, vests, head ware plus bags and accessories. Perfect for you corporate uniform, athletic and food services needs. Lots of colour and size options. Technosport Canada – 100% Canadian and family owned, with distribution center in Moncton, NB. Fast turn around for many great items like: t-shirts, polos, fleece, jackets, head wear and even bathrobes. Stormtech – Since 1977 has provided men, women and youth with quality outdoor apparel. With its roots based in Western Canada, quality meant for the many Canadian seasons. Now a worldwide leader in breathable, waterproof outdoor wear. Leeds – Synonymous with excellence in the promotional products industry, Leeds provides a wide range in marketing items. Including gift ware, outdoor living, backpacks, blankets, holiday items and more. For a contemporary, retail look, look no more. Kobe – Business began in 1992 and since then provided millions of athletes with imprintable athletic apparel. Proudly Canadian with international offices in the USA and China with a dedicated production team Kobe provides quick turnaround and impeccable quality. Fersten – It all started in 1993 with innovation and evolution, Fersten Products started solely as a head ware supplier, but has now grown to include outerwear, lightweight and winter apparel. The also have expanded with well known brands like FILA. Debco – With meager beginnings as a home based business it has grown to be a dynamic promotional products corperation. Debco offers many fantastic marketing gifts to create a unique way to show brand solidarity. With precision decorating methods like laser and diamond etched engraving, aqua-mark, perma-print and perma- press the promotional opportunities are endless. alphabroder – Millions of people wear products distributed by alphabroder. alphabroder is the parent company for many great brands like Ash City, Alpha Shirt, Broder Bros., NES Clothing and Imprints Wholesale. All these great brands are fulfilling the needs of screenprinters, embroiderers, promotional product distributers, athletic dealers and many other businesses. alphabroder’s goal is to consistently deliver quality and a huge assortment for all your promotional needs. AJM Interanational – They are Canada’s largest head ware supplier and have 3 distribution centers to serve you in Toronto, Vancouver and Montreal. AJM has prided itself since 1983 in being the best in one specialty – head ware. They offer many shapes and styles and are continuing to evolve with the future wants and needs of the business. 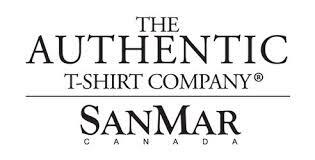 Sanmar Canada – Started business in 1989, Sanmar Canada has become a great place to look for all your promotional products. Providing great brand names like Coal Harbour, OGIO, The Authentic T-Shirt Company, Red Kap, New Era caps and Eddie Bauer. With showrooms and distribution centers across Canada, fast order turnaround is part of their great success. Sports wear, team wear, promotional supplies, custom screen printing.